Given here is Ven. 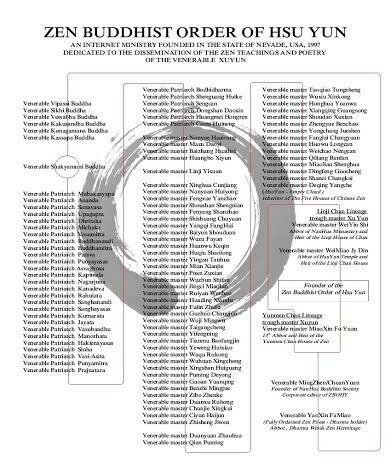 David Shen-Xi (Xi-Ken) Astor’s OPB contemporary American lineage as reflected in his Dharma Scroll. That same scroll also pays honor to it’s ancient Chinese Ch’an and Japanese Zen masters going back over two thousand years. The Lineage Chart (not to be confused with the OPB Dharma Scroll) is depicting our founders dharma path as his teaching and study moves beyond his root monastic training. 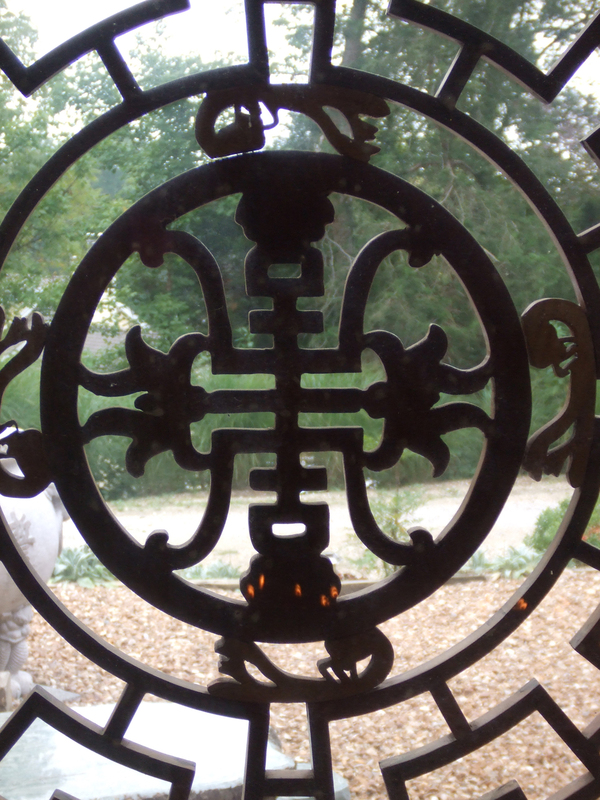 Grand Meditation Master Tai-Ts’ang was a member of the 46th generation of the traditional Lin-Chi sect. He served as Abbot of Jinshan Monastery (Chin Shan) from 1945 until 1949 when he was forced to flee to Hong Kong following the Communist takeover. He eventually settled in Taiwan. 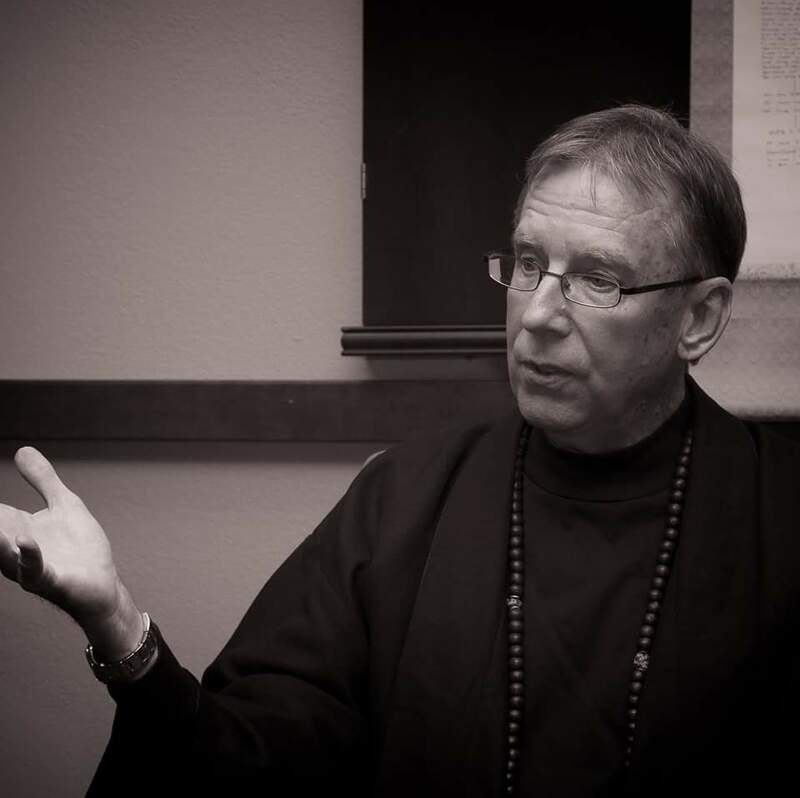 At the age of 70, he transmitted the Ch’an dharma to the West, leading to the historical path down to the Order of Pragmatic Buddhists, and the establishment of the Engaged Dharma Insight Group. Tai-Ts’ang was the root dharma teacher to Holmes Welch, who he determined was an excellent vehicle to accomplish this transmission. 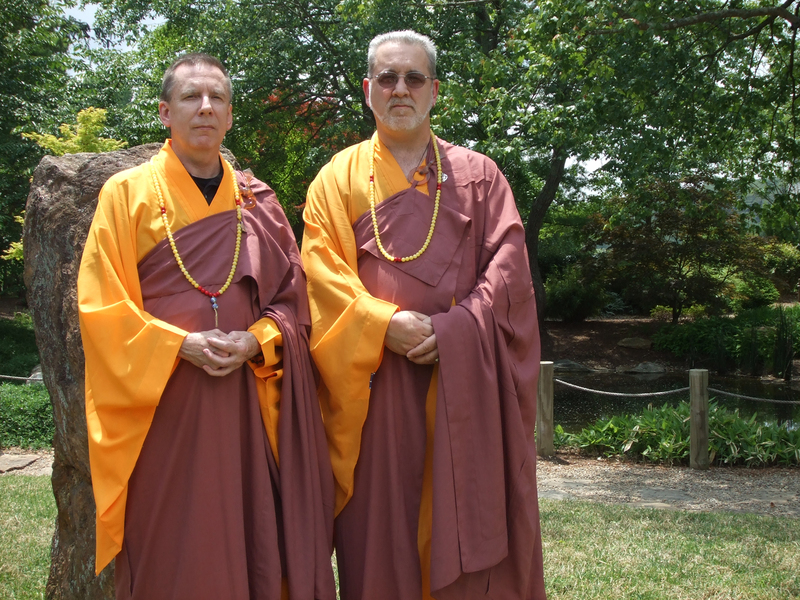 Tai-Ts’ang, and his dharma brother Jo-Shun Wei-Te were the 44th and 45th generation of Ch’an masters from the Ch’I-hsia Ssu monastery in China. These Chinese Ch’an masters were Abbots in succession of their monastery where they moved to establish a more contemporary practice early in the past century. 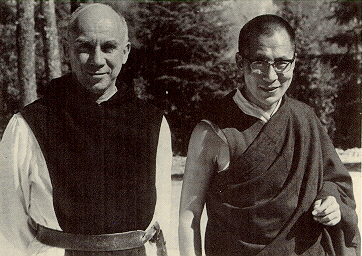 Holmes Welch (1924 – 1981) was the dharma heir of Tai-Ts’ang Hsin-Jan, a Chinese Ch’an Master. He was the root teacher to Ryugen Fisher (Shi Shen Long) whose relationship established the second American Ch’an patriarchic in our lineage, Ven. Welch being the first. Ven. Welch was a professor in Far Eastern Studies at Harvard University. 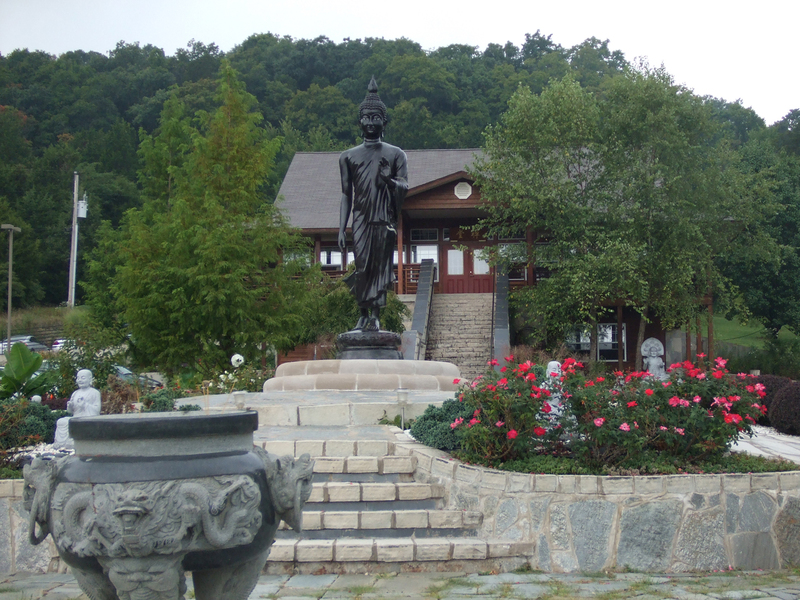 He traveled extensively throughout China studying the culture and Ch’an Buddhism. 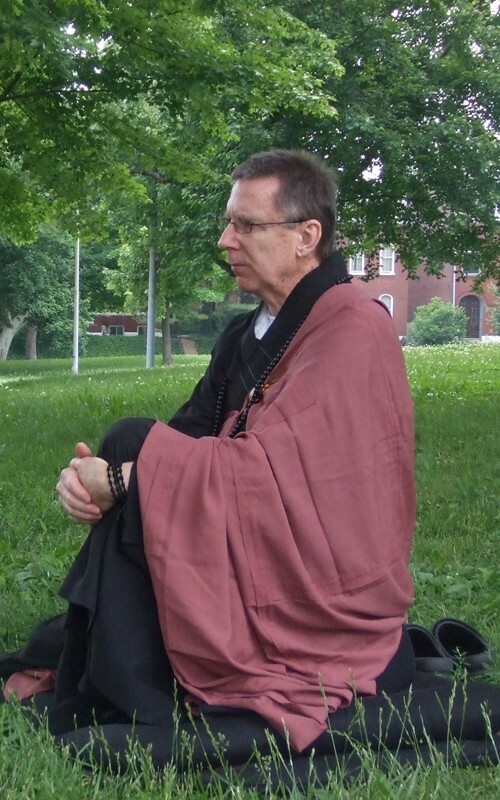 His influence in early American introduction to Buddhism was important as it counter balanced the transformation of Zen from Japan with the unique philosophical and pragmatic study the Chinese placed on Buddhist practice. Holmes Welch conducted extensive research in China during the early part of the 20th century, learning intimately the details of Chinese Ch’an thought and practice. 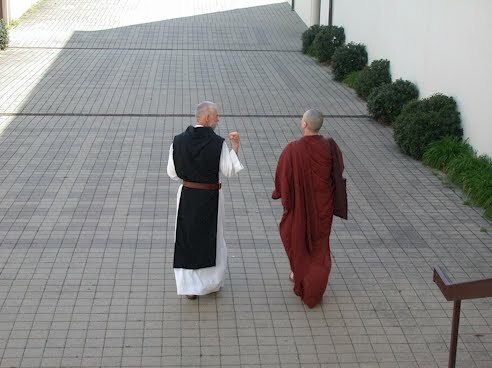 While living in China at the Chin Shan Monastery, Ven. 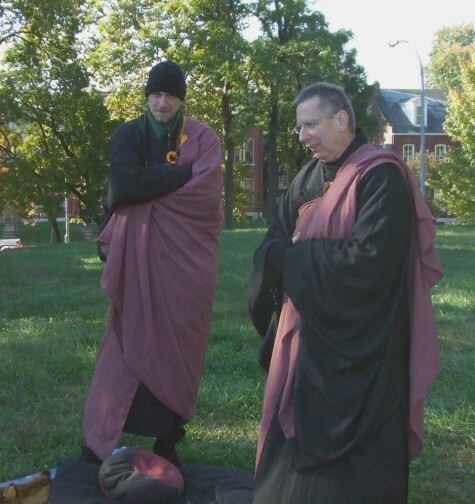 Welch received dharma transmission from the then abbot, Tai-Ts’ang Hsin-Jan. He wrote extensively on the importance language plays in the transformation of ideas between cultures. Among his many works, The Parting Of The Way, was the first convincing interpretation of the Tao te ching and the first coherent account of the Taoist movement. Ven. Welch’s scholarly works, The Practice of Chinese Buddhism and Buddhism Under Mao are still referenced works for Buddhist scholars today. 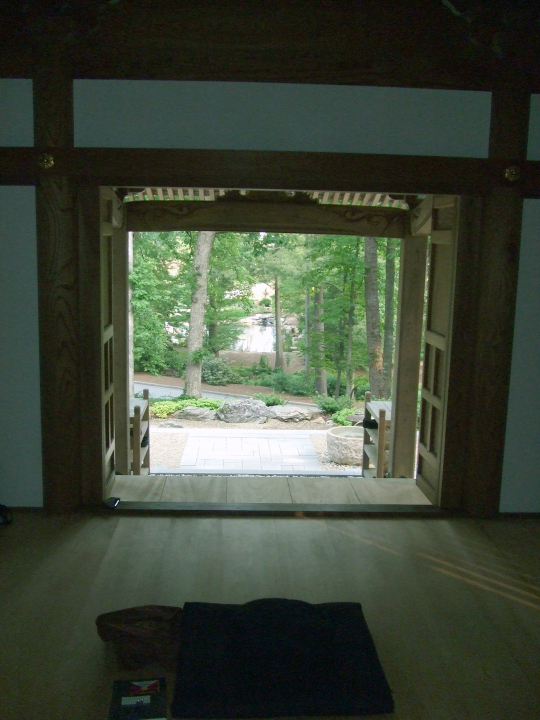 The Reverend Soyu Matsuoka Roshi was a Japanese Soto Zen Master who studied at Sojiji Monastery in Japan before being assigned to temples in America. 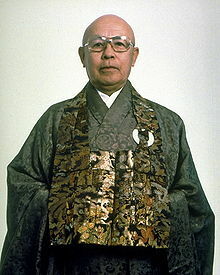 Roshi was born in 1912 in Yamnaguchi Prefecture near Hiroshima. 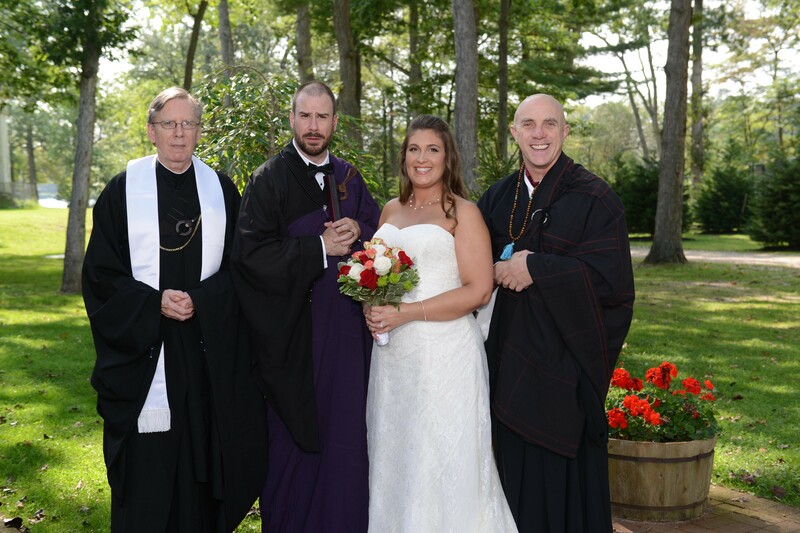 His family has a history of Zen Buddhist priests dating back over six hundred years. Matsuoka Roshi came to America in the 1930′s and spent time in the Japanese-American internment camps during World War II. 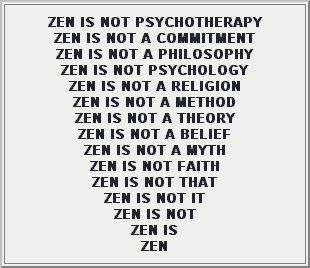 He founded the Zen Buddhist Temple of Chicago in 1949. 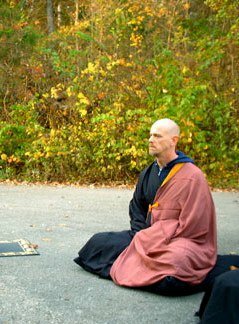 At the time, Roshi was a gondaikyoshi (equivalent of a bishop) in Soto Zen Buddhism, responsible for Soto Zen activities across all of North America. Ven. 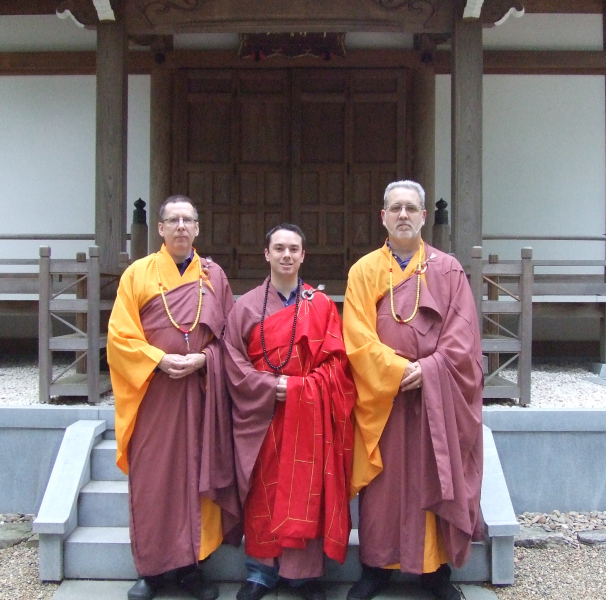 Ryughen Fisher Sensei was appointed his Dharma successor. 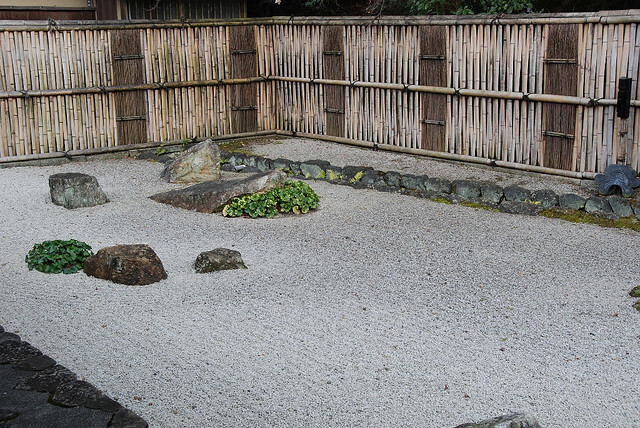 Although Matsuoka Roshi was an important Zen pioneer in the West, his legacy has been largely overshadowed by some of the other early Soto Zen pioneers, including Shunryu Suzuki Roshi. 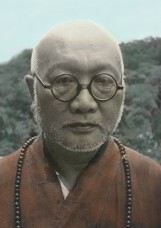 Matsuoka Roshi passed away in 1997. 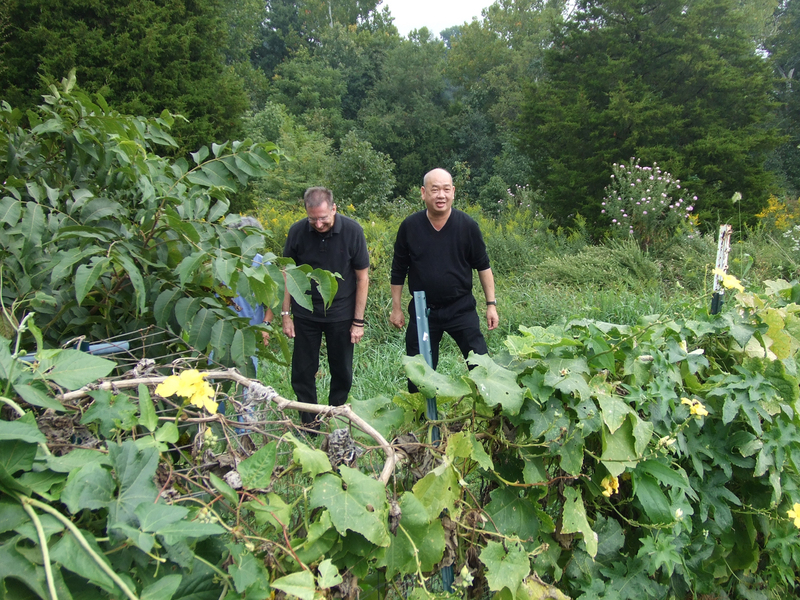 Our lineage stems from both Chinese and Japanese roots (Ch’an & Soto Zen) through Ven. 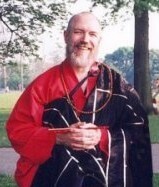 Ryugen Fisher (1947 – 2006). 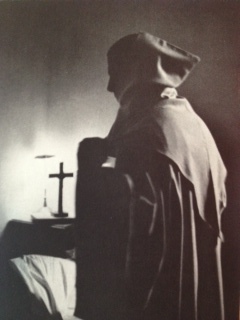 The Reverend Soyu Matsuoka Roshi was Ven. 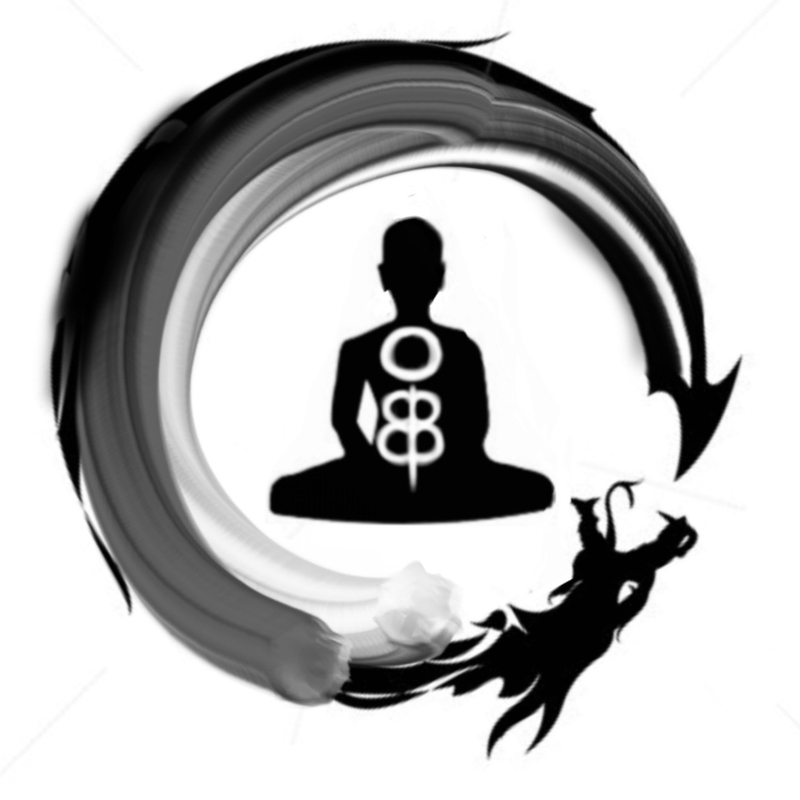 Ryugen Fisher’s root teacher who first gave him the precepts. Ryugen next became Holmes Welch’s personal student, providing him with rare opportunities to study classical Chinese Ch’an texts and their practice. 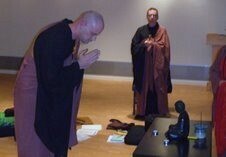 As a result of these two experiences in training our tradition can claim lineage in both Ch’an and Soto Zen. 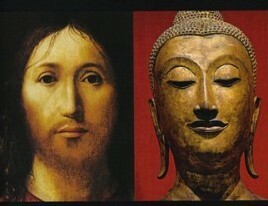 During his lifetime Ryugen referred to his “pragmatic” approach to Buddhism as “American Ch’an”. 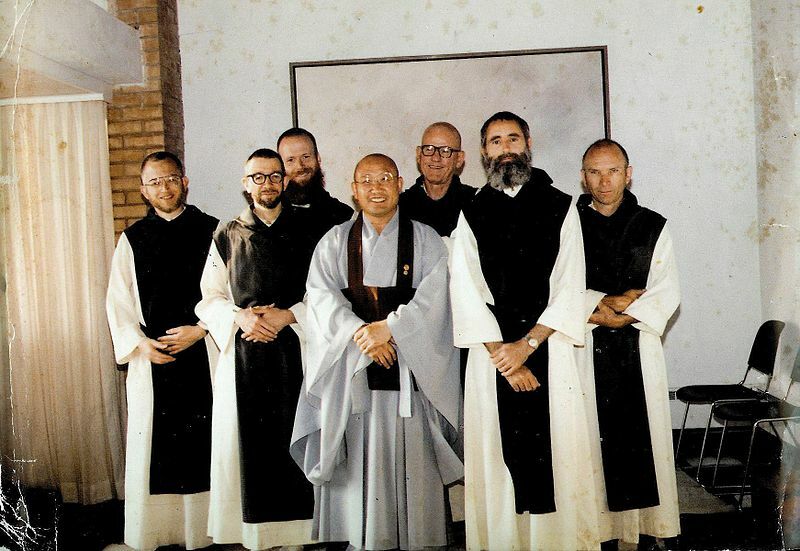 He served as the Abbot of the Dragon Flower Ch’an Temple, which had begun in Rhinelander, Wisconsin and subsequently relocated to St. Louis, Missouri, until his death in 2006. Ven. 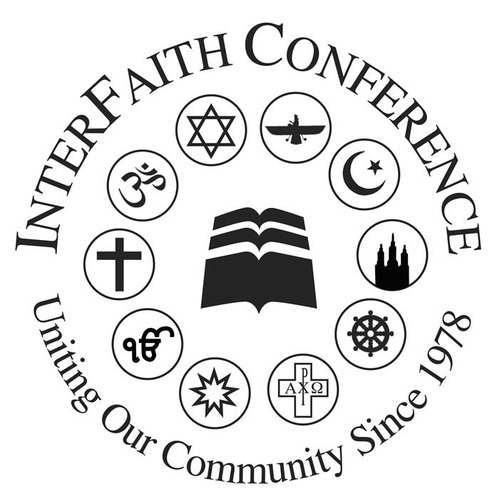 Fisher was the founder of Building for Maitreya, Ltd., an organization dedicated to translating important Buddhist texts, teaching Buddhism and providing a role model for Buddhist and non-Buddhist Businesses. 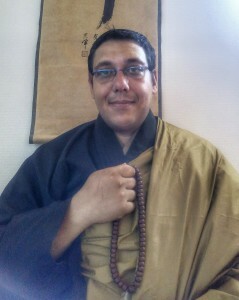 A practicing Buddhist monk since 1972, Ven. 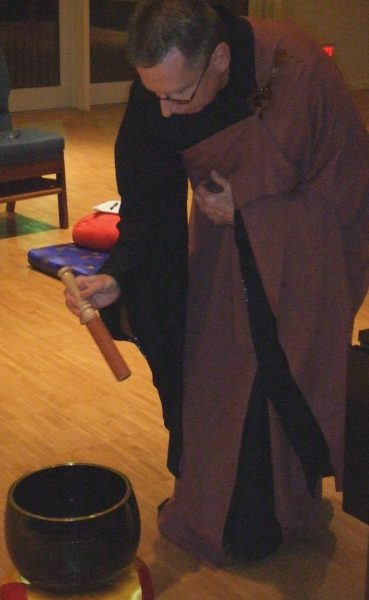 Fisher was originally ordained in the Japanese Soto Zen tradition by Rev. 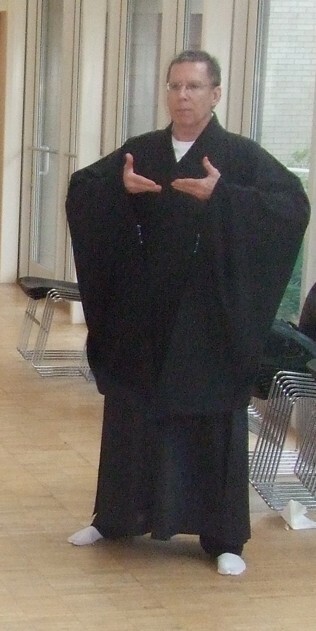 Soyu Matsuoka Roshi. 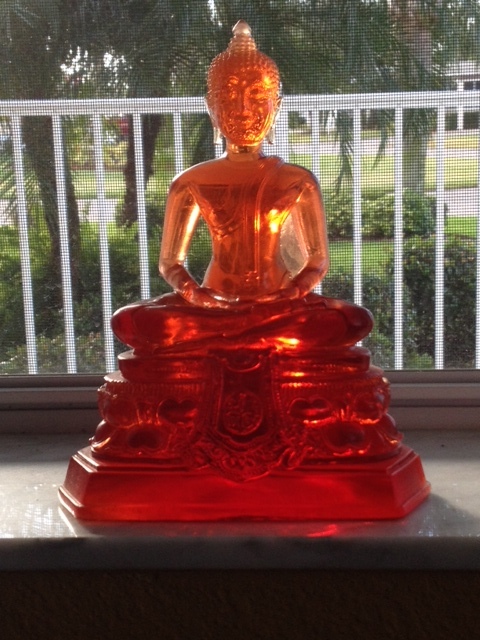 He received Dharma Transmission from Dharma Master Holmes Welch in 1980. 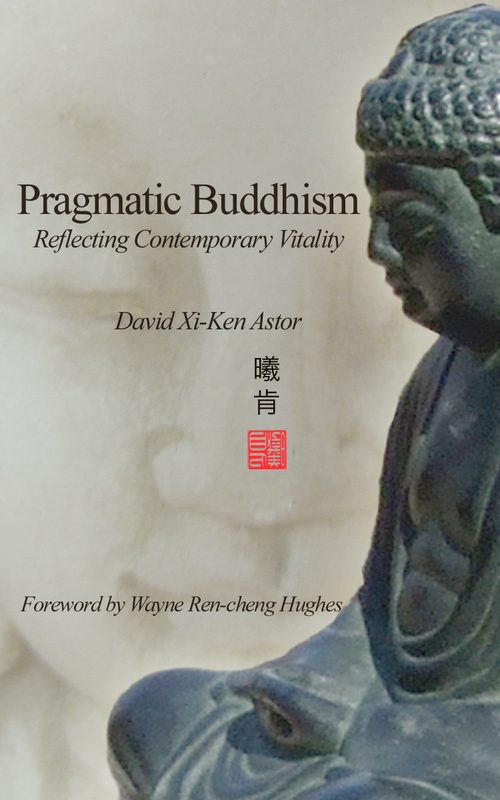 Viewing Buddhism from a pragmatic perspective has emerged to more effectively describe the continued transformation of Buddhist practice and teachings to the Western mind. 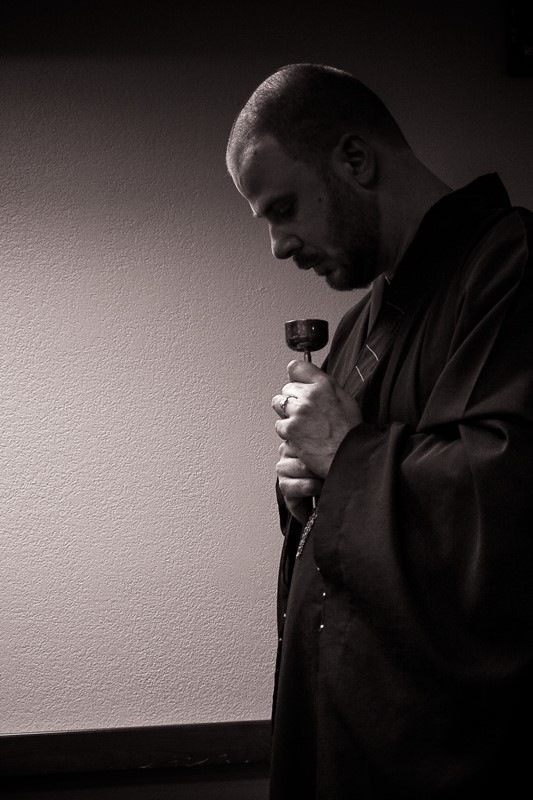 Ryugen’s life was devoted to helping others see the value in the practice of rigorous self-honesty, the first step towards positive self-transformation. Ven. 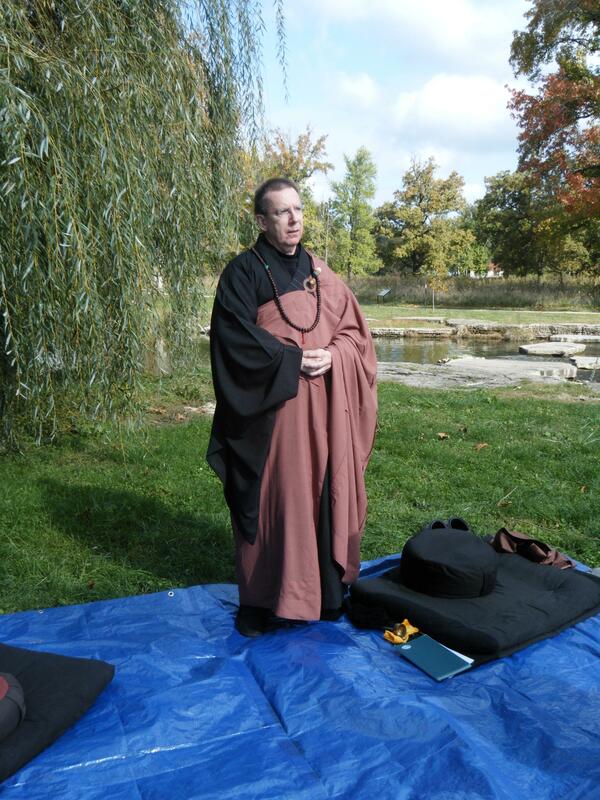 Dr. Eubanks Sensei MD was the final fully ordained monastic formal student and dharma heir of the late Ven. Ryugen Fisher. 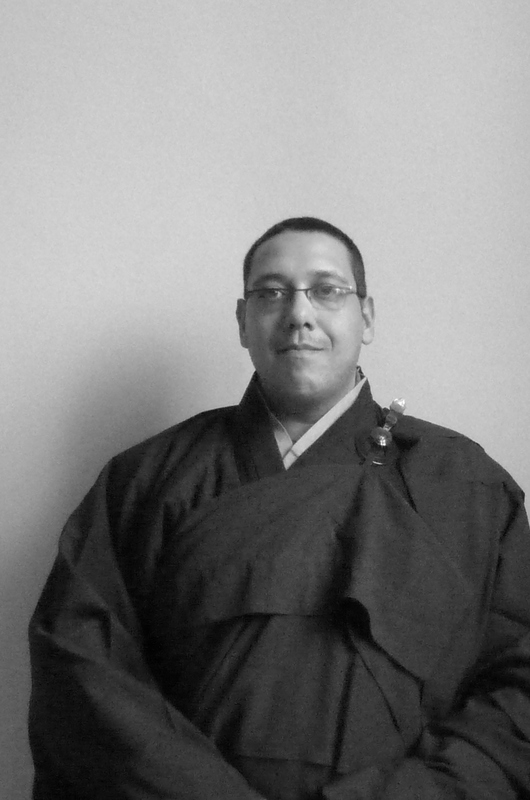 He studied Hinduism, Early Buddhism, Daoism, and Ch’an/Zen Buddhism formally with his root teacher prior to Ryugen’s untimely passing, learning the practical skills necessary to continue his teacher’s pragmatic approach to American Ch’an Buddhism (the precursor to Pragmatic Buddhism). 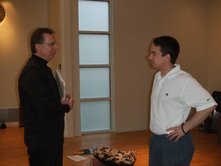 Sensei’s undergraduate studies specialized in Philosophy and Comparative & Asian Studies at Furman University. Ven. 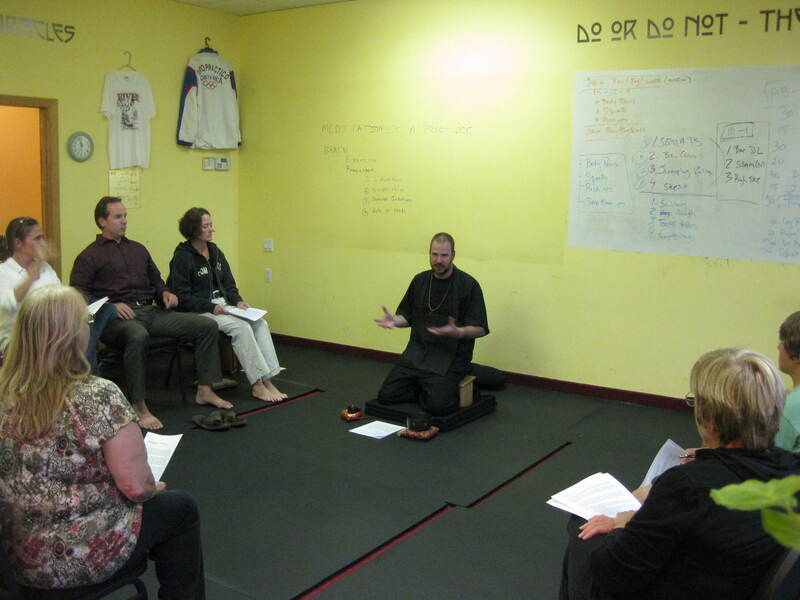 Eubanks is also trained to teach American Shaolin gongfu (Kung fu), Qigong, yoga and meditation in a community setting. 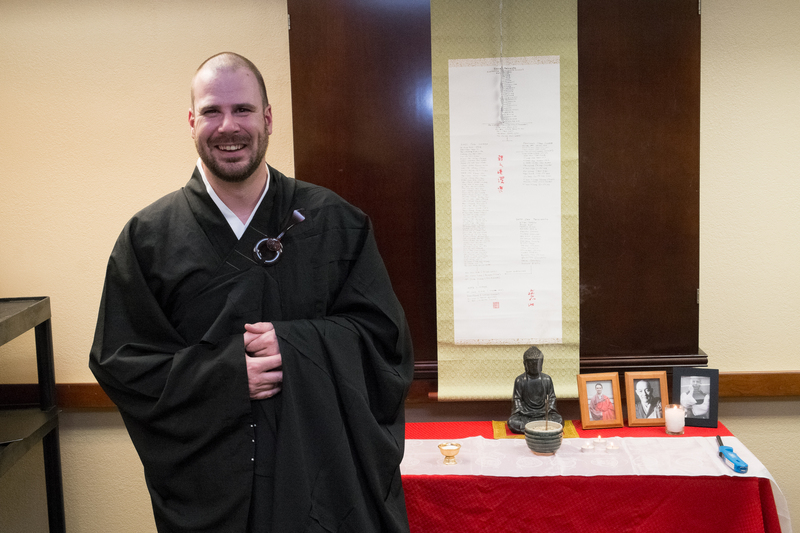 In addition to his Buddhist practice responsibilities as Spiritual Director in the teaching monastic Order he founded, he also has an active medical practice as a Resident Physician at the University of Pittsburgh Medical Center. 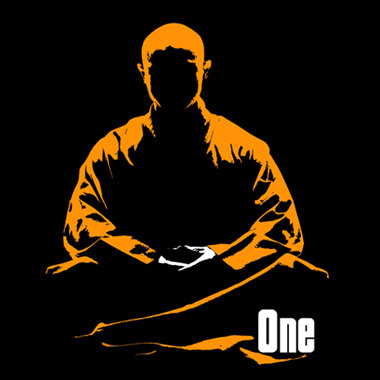 A lineage (or Dharma) scroll in Buddhism is a recorded line of transmission of the Buddhist dharma (enlightened teaching) that has been transmitted through the ages from master to their dharma heirs that can be arguably traced back to the Buddha himself. 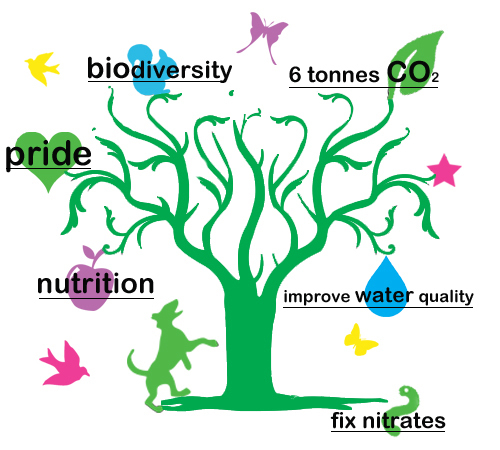 The acknowledgement of the transmission can be oral, or certified in documents. 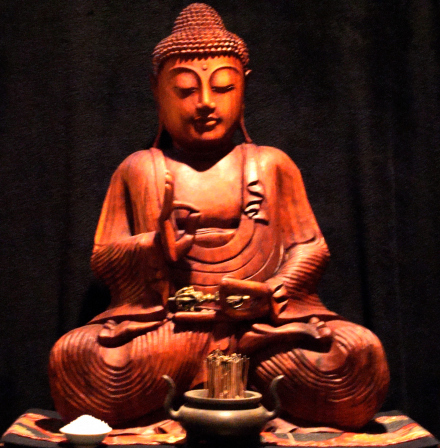 Several branches of Buddhism, including Ch’an and Zen, maintain records of their historical teachers. 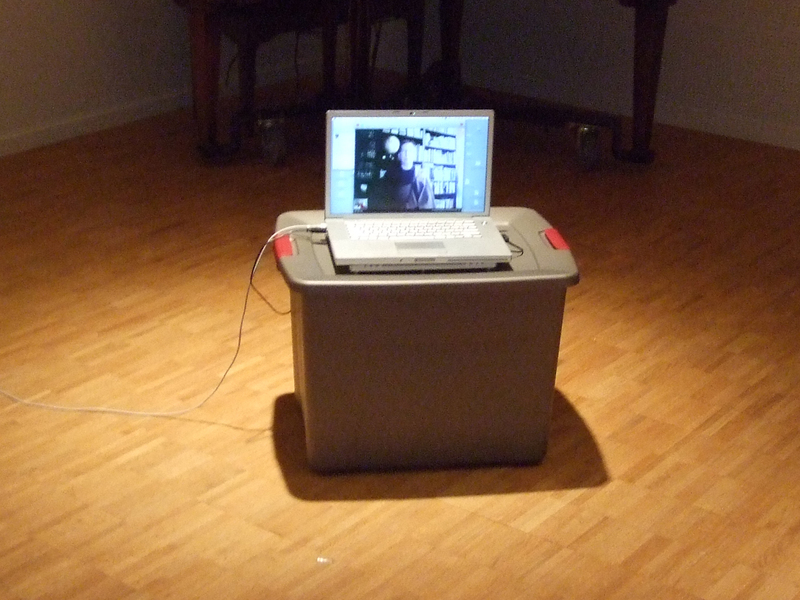 These records serve as a validation for the living exponents of their tradition giving cultural authority. Given here are the Dharma Scrolls of both OEB’s Prior, Xi-Ken Shi, and Vice-Prior, Yao-Xin Shi. 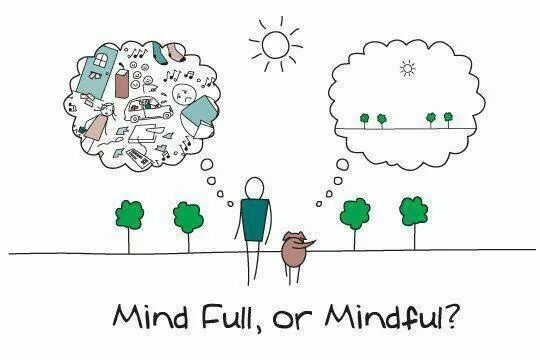 Both are from the Ch’an and/or Soto Zen traditions. The originals with their seals are in the position of our leadership, and are available for viewing on request.